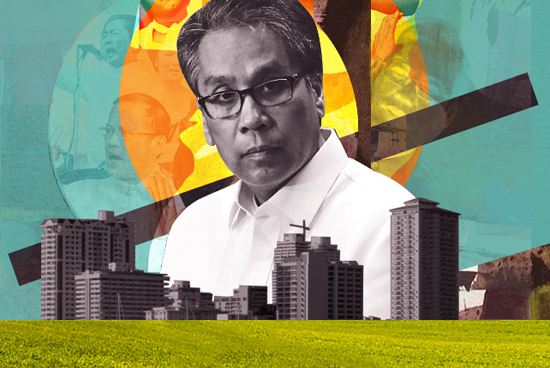 (SPOT.ph) The tousle-haired, well-meaning but blundering former Secretary of the Interior and Local government, Mar Roxas, may prove to be a difficult sell, not just because of a general lack of charisma but because he is being presented as the successor to the current adminstration’s “Daang Matuwid.” This campaign platform, based on the promise of an honest government, was especially effective when it was used successfully in the last days of the previous administration’s brazen corruption. Almost six years later, it has lost most of its appeal: people no longer believe it works. The strategy employed by the Aquino administration, whether by design or by default, has been one of fastidious hand-washing at the top levels while largely leaving the rest of country to fend for itself. This has been surprisingly successful, at least on paper: the economy responded to the favorable conditions with fast-paced growth, but very little of it has trickled to all but the largest businesses. The opposition, despite being accused of being a thief, has continued to gain ground. In the meantime, the corruption in government agencies shows little sign of abating. From Marcos up to Arroyo’s administration, corruption has seemed to be an inevitability: not just something to be tolerated, but necessary to get the job done. 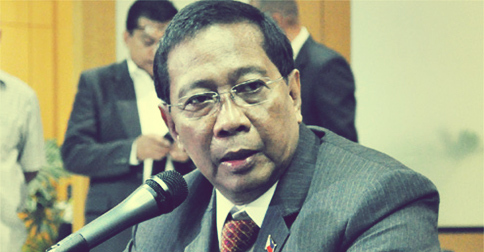 Intricate and labyrinthine systems of collecting and dividing the spoils have grown in agencies such as the Bureau of Customs and Bureau of Internal Revenue, to the point that even the most well-intentioned of commissioners cannot dismantle the system, and are not just unable to effect reform, but end up alienating the public as well. At this point the system is so mature and entrenched that it is doubtful that even the most determined crusader can hack through the thicket; starting over may be the only option with decades-old rituals that operate like a cross between a Masonic sect and an organized crime syndicate. 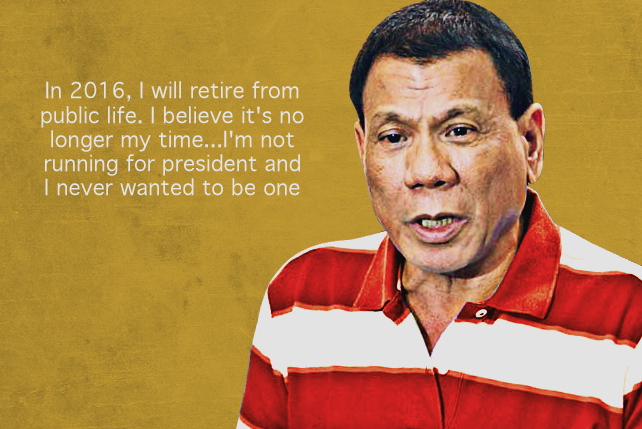 The second legacy that stands in the way of the “Daang Matuwid” is the long shadow of dictatorship. The fear of another despot returning to power is what led to, among other things, the local government units holding commensurate power. From the port congestion to the inability to enact coherent flood control, city and municipal governments that act like small kingdoms and don’t talk to one another are largely to blame. The administration has a problem of underspending, in large part because of a draconian Commission on Audit, which has resulted in a stalemate and money sitting idle; this is, again, a legacy of checks and balances put in to clip the powers of the Executive Branch. Yet another child of dictatorship is the unchecked growth of private corporations, many of whom got their start under Marcos, were handed concessions by Ramos, and are chugging on funds channeled from Arroyo. For them, the current state of favors and exchange is working out perfectly well. They would be reluctant to see a more egalitarian playing field, or have their assets returned to the public sector. Even with utilities such as mass transport that should be organized and controlled, if not owned by the state, even the fiercest proponents of nationalization remain sceptical if whatever body will be created to manage it will be able to administer them properly rather than become yet another rat’s nest of mismanagement and corruption. If corruption is a symptom rather than a cause, then it must be a symptom of something. Some might argue that its underlying cause is poverty, which in effect turns the Liberal slogan of “Kung walang corrupt, walang mahirap” on its head; or that corruption and poverty simply feed into one another in a vicious and inextricable circle. A more convincing, as well as more optimistic argument, is a social rather than political one: that corruption exists because of a failure of belief. Not only are we deeply distrusting of government healthcare or welfare, we have become sceptical that that people in the House of Representatives represent us in any way, that municipal taxes go to building bridges, that the LTO keeps the roads safe. The result of this cynicism is that neither payer nor payee believes that any of it is actually going to public good, and the mechanism is turned into one of legitimized extortion. The recourse to corruption is not just because of greed (although that plays its part), but the recourse in the lack of trustworthy public institutions to look after one’s interests are family, powerful warlords, and private enterprises. Systemic, endemic corruption is a symptom of disillusionment and cynicism; it is the natural entropy of lost hope. The most obvious fresh starts are anarchy or revolution; and unfortunately we have made the latter something of a habit rather than a last resort. The next best thing that can inspire confidence in the populace is a fresh start with a new leader and a new plan of action that we truly believe in, rather than one who has been tainted by the ineffectuality of the current administration and a plan that proposes more of the same. This does not mean that we should throw our support behind a thug, or someone whose main appeal is that of being an unknown quantity. But Roxas’ current plan is a tenuous one, too dependent on party machinery and his support base in the Visayas. He has gained ground not just because of the current president’s endorsement, but also (at least in the NCR) by not following his two main rivals’ gaffe in bending the knee to the Iglesia ni Cristo during their mass protest on the weekend of National Heroes’ Day. His best bet is to use the political machinery of the Liberal party while shedding the tired rhetoric of an outdated campaign. Whether he can win on his own merit is debatable, but the alternatives are far worse.